You may have read about my beloved meditation timer .. the one that sat beside me for many years of meditation practice then mysteriously stopped chiming for me .. and my recent discovery that the beautiful Zen Meditation Timer(s) are now being sold in Australia .. by the Natural Lifestyle Company. Jenny is a Director of the Natural Lifestyle Company who specialize in importing and supplying a range of high quality products, designed to ‘enhance lifestyle and promote a more healthy and eco friendly environment’. And one of their key products is the amazing Zen Timer range. I met Jenny at the Conference .. and recently asked her if she would share with us her journey with meditation .. thank you so much Jenny .. very inspiring! Mindfulness Meditation and products and techniques to help incorporate meditation into every day life. How long have you been practicing, or working in this area? I have been practicing meditation inconsistently for over 20 years. Over the last 2 years my practice has been much more regular and rewarding and yet funnily enough, much less structured. I have been working in and around meditation and lifestyle choices for over 10 years. How did you ‘find’ meditation, and how long have you been practicing meditation? In the late 90’s, after working at a major retail head office for over 10 years, I took a leap of faith and took on the role as Marketing Manager for a new concept store – The Lifestyle Shop. This is where I first met an array of interesting, like-minded people and was exposed to products and books that inspired me to start a journey on a different path in life. I have been practicing mediation since those early days, dropping out for a year here or there but now as one of the Directors of the Natural Lifestyle Company – working in the industry again has reminded me how important daily practice is. Do you have a regular practice – daily, weekly, other? I feel very fortunate in that I have finally cross a threshold where I feel that I meditate almost daily. 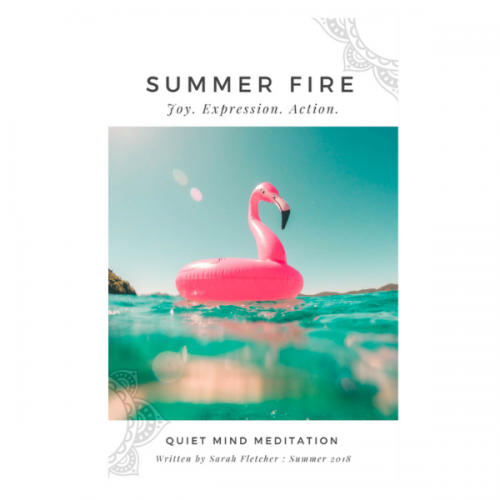 I try to incorporate mindfulness meditations into everyday activities like doing dishes and walking the dog and this becomes my regular meditation practice. What inspires you to keep meditating? Returning to your practice? I attend a fortnightly meditation group in Elwood and visit an Ashram in Daylesford every three months or so to keep me inspired and energetic. I read as many different theories and thoughts on lifestyle and meditation as I can as I love to constantly challenge my beliefs and be inspired by different ideas. My mindfulness bell goes off every hour or so to remind me to take a second and breath, reflect or simply have a mental break. As a single parent, Director of 2 companies, and a working mum, I am constantly time challenged. Mindfulness meditation helps remind me of the importance of the things we take for granted. Meditation allows space and time for my thoughts to take a break – or for me to simply day-dream if that’s what I choose at that moment. Meditation time is my time. It’s just me in there and I can choose how that is going to be. 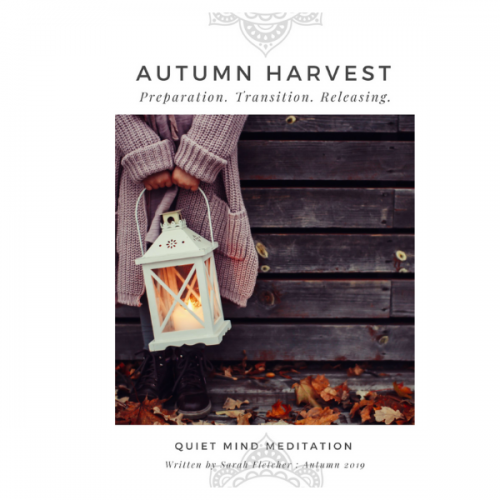 At a mediation conference recently a speaker reminded us that it’s not what happens in the hour or so we meditate that’s important – it’s the benefit over the next 23 hours that is truly the experience. I love this idea as it takes away the pressure of a perfect practice. Do you have a particular technique(s) that you have found most suitable for you? I do. I like to spend time in the mornings while walking our dog opening up to acceptance and giving gratitude for another day and all that happens in it. “And So It Is” is my mantra. I find in this way the day unfolds exactly as it should. During the day, my mindfulness bell gives me a reminder to spend some time in contemplation. Check in with Me. How am I doing? Are we ok? Then of an evening I spend ½ hour or so before bed just being. No pressure, no expectations. 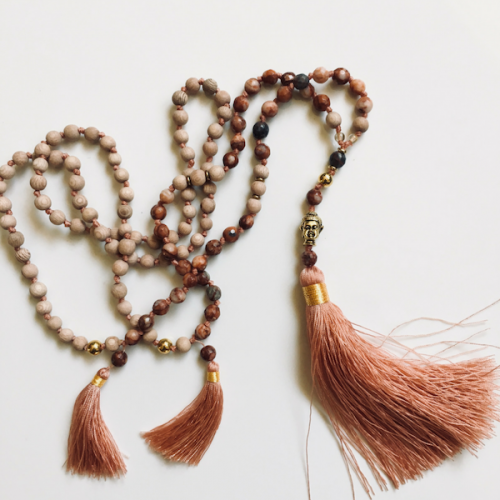 Have you a dedicated space for your practice?In my life, my home and my work I make space internally rather than physically to practice meditation. I do always light a candle as a focus point though. I try to meditate with my eyes open or invariably I fall asleep and miss the whole thing. Have you attended a meditation retreat? I have been to The Santayana Ashram at Rockland in Daylesford and The Ian Gawler Foundation, and once as a special treat to Gaia Retreat and Spa in Byron Bay. All of these places are great as a reminder and inspiration point. Any favorite books/CDs/Resources that you might share with others?My meditation practice has taken a turn since using and selling the beautiful Zen Timepiece. I set it to go off during the day as a reminder to be mindful and also when I am in meditation as a gentle way to bring myself out of the experience gracefully. 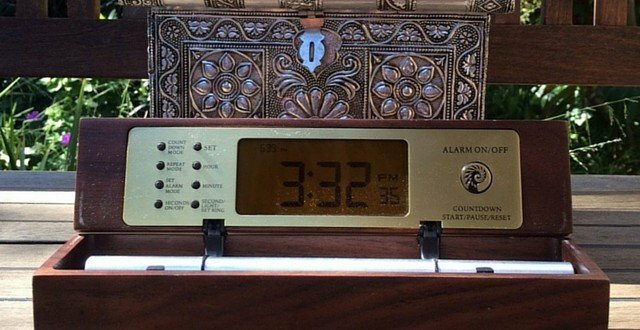 I also use the clock to wake up which puts me in the right frame of mind immediately to start a day of mindfulness. Any thoughts you might share with those who are new to meditation? At my meditation course recently we talked about The Permission Technique which I find very liberating. It is basically going easy on yourself when meditating, not expecting anything and being kind to your thoughts. For people new to meditation this is a lovely gentle technique that eliminates the pressure of performance anxiety in a meditation practice. 7 Random things about you? I love being a parent and truly believe the earlier we teach our kids about mindfulness the better. I took my 7 year old back packing around Europe a few years ago on my own for 8 weeks. It was the best time of my life. I am so glad I remembered about the Zen Clock Range 10 years after I was introduced to them – It has changed my working and personal life. Relationships are the core of my life. I have a dog for the first time in my life and now understand why everyone says they are mans best friend. The smell of Daphne flowers in winter is the best smell in the world to me. Putting on my gumboots and lighting a fire at our caravan in Daylesford automatically transports me from the stress of everyday life in the city to a place of peace and gratitude. It is my favorite place to practice mindfulness.